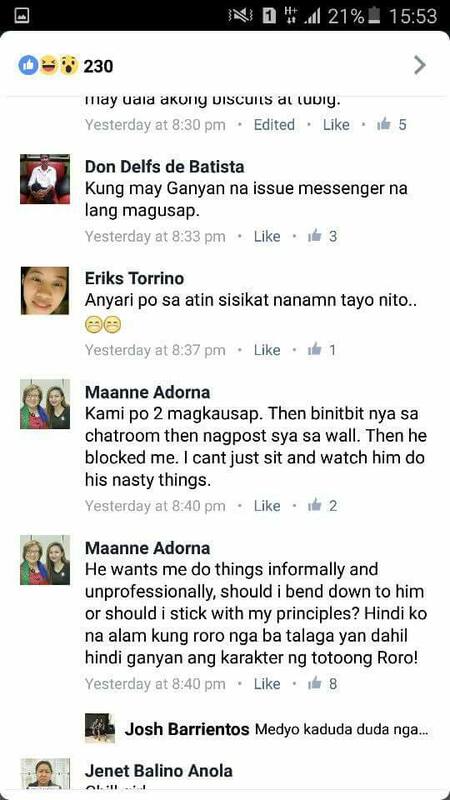 A scandal is again rocking the yellow camp after several screenshots of public Facebook posts and threads are circulating online. 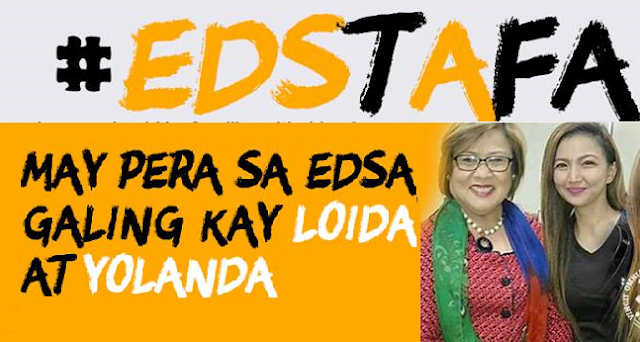 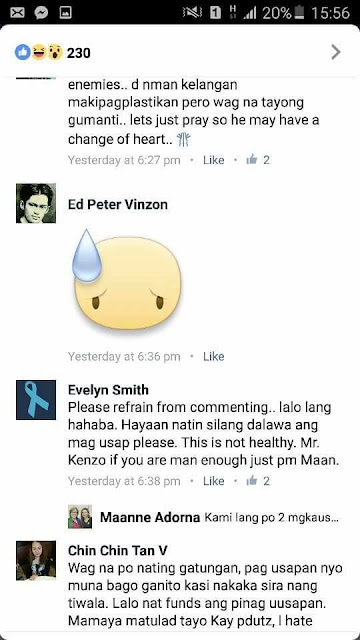 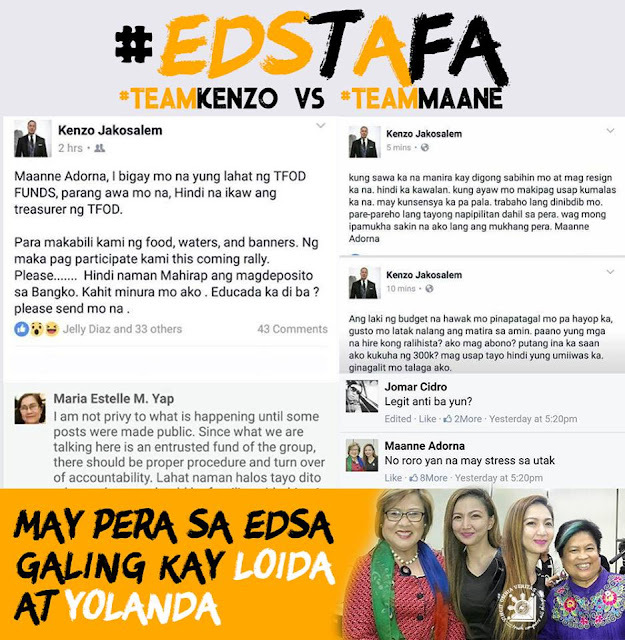 In the said screencap image, a certain Mr. Kenzo Jakosalem publicly mentioned Maanne Adorna on his Facebook post accusing his colleague of not turning over the fund to purchase food, water, and banners for the upcoming rally on February 25 to 26 as a part of the EDSA People Power Anniversary. 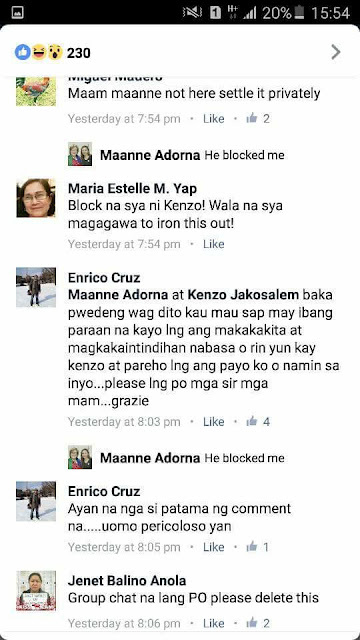 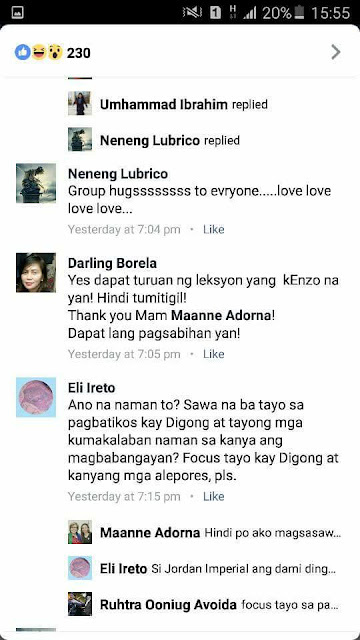 Adorna responded to Kenzo's accusation using also her Facebook account. 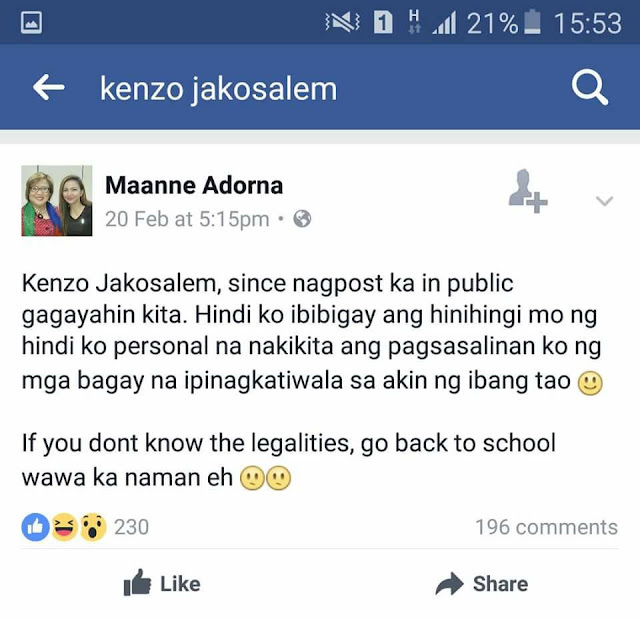 "Hindi ko ibibigay ang hinihingi mo ng hindi ko personal na nakikita ang pagsasalinan ko ng mga bagay na ipinagkatiwala sa akin ng ibang tao." 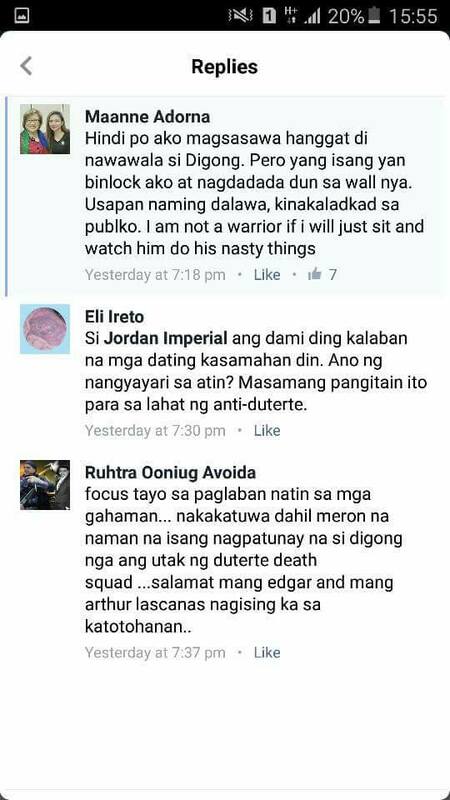 After reading Adorna’s reply, Jakosalem spouted and his post gave the social media an idea the huge amount that changed hands between the paid social media trolls and their patron. 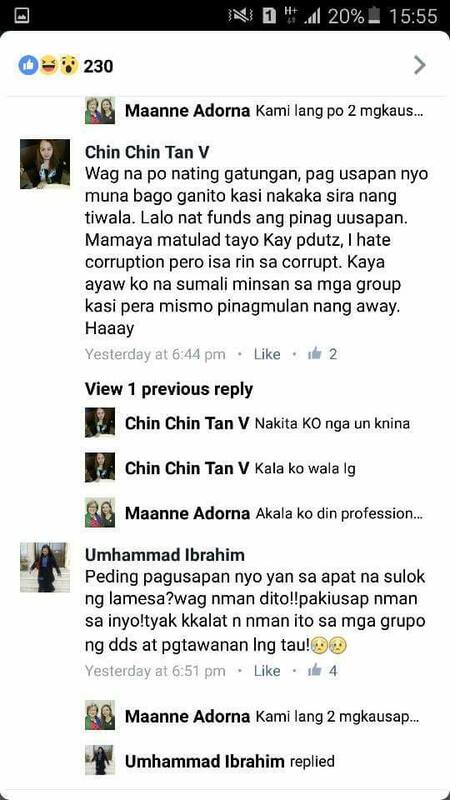 Their fellow yellow protesters tried to appease both of them and quoted 'Tuwid na Daan' must not argue over rally funds. 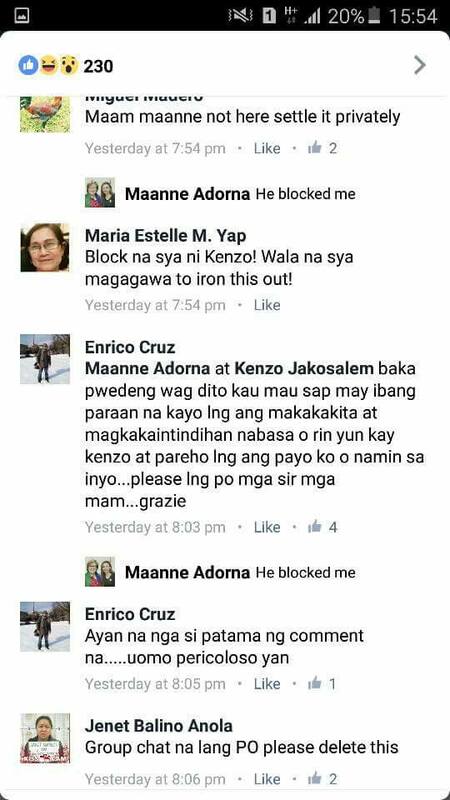 Adorna also shared that Jakosalem blocked her on Facebook. 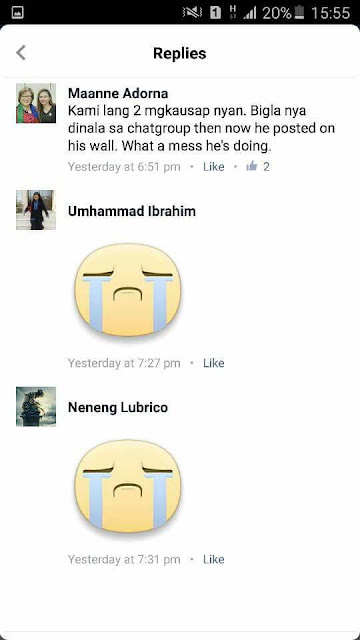 According to source the two are the leaders of the protester group.